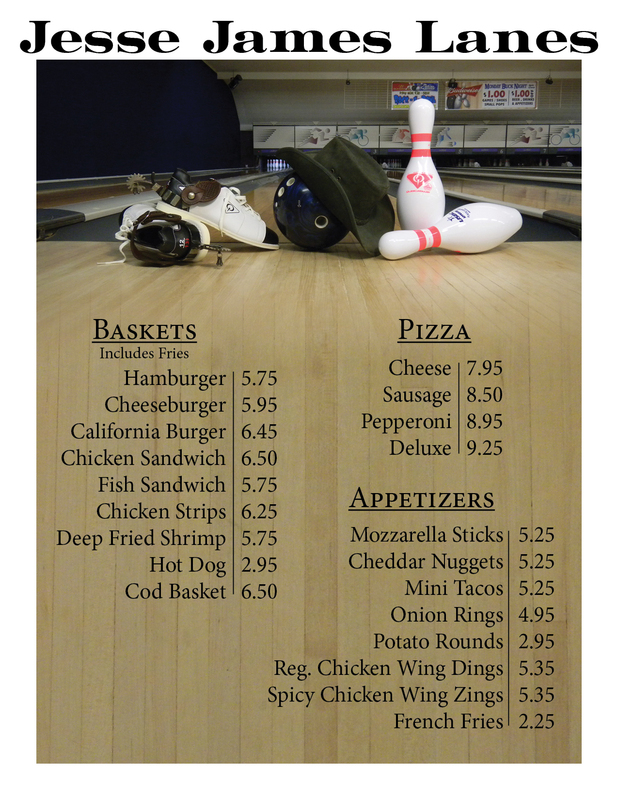 This is the current menu used by the Lanes. I took all of the pictures including the arranged one which I drew out the concept for. 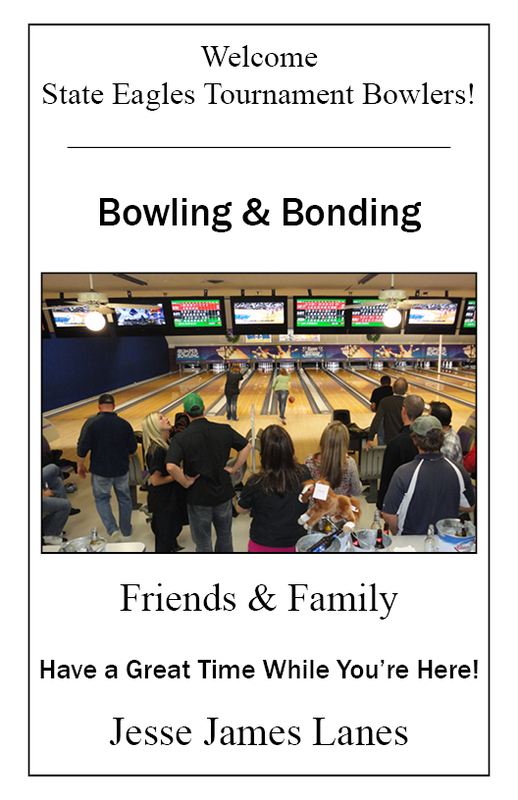 The fading was done as a photoshop mask then placed into InDesign where the final menu was created. 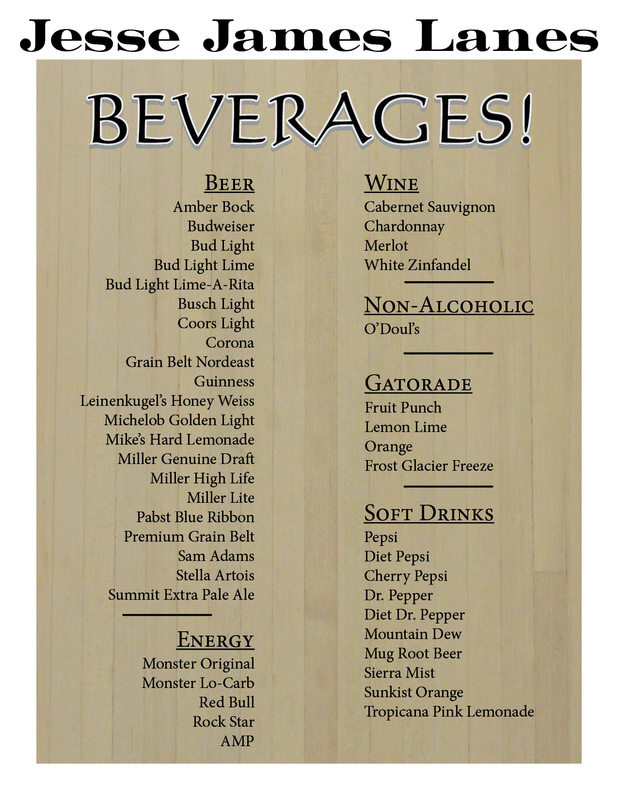 The "Beverages!" text was done using Illustrator. 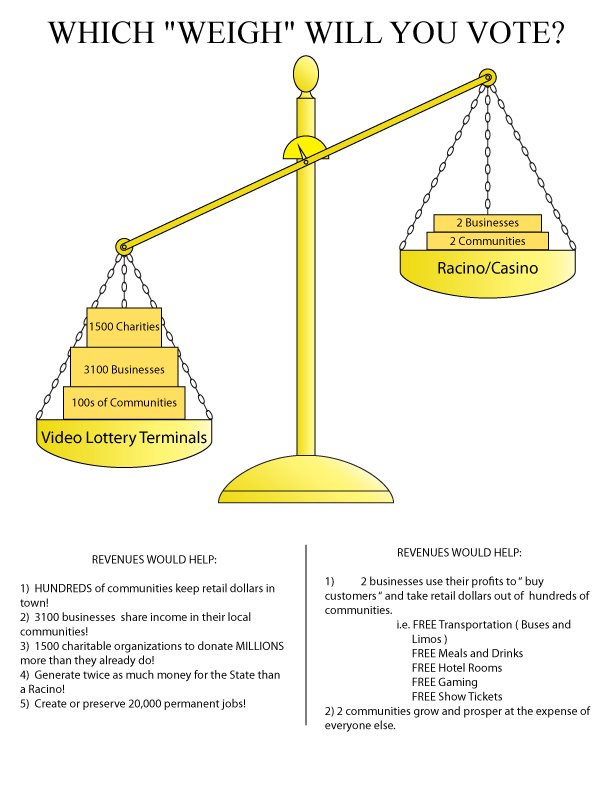 I was asked to create this to help illustrate the benefits of Video Lottery terminals vs Racinos and Casinos. The scale was built from scratch in Illustrator. 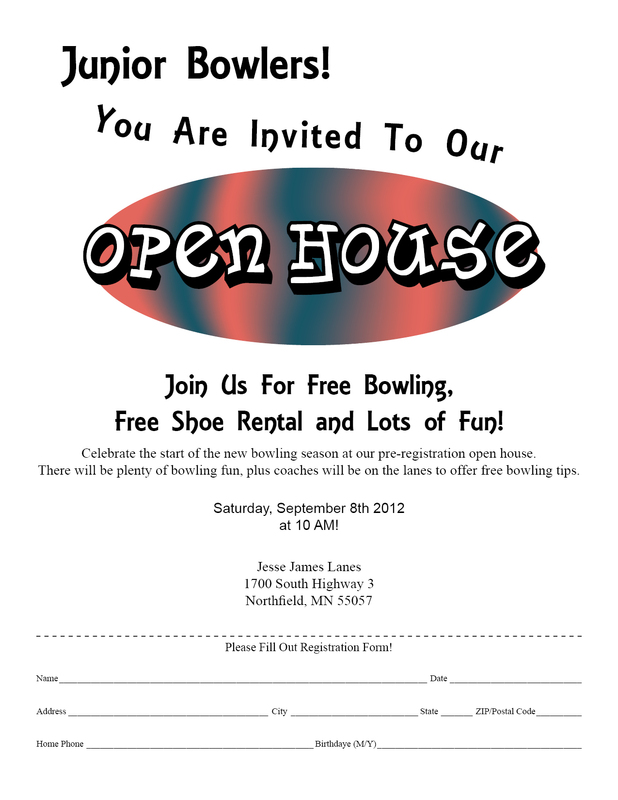 This was to entice Junior bowlers to come in to do some bowling and also sign up for Junior League. 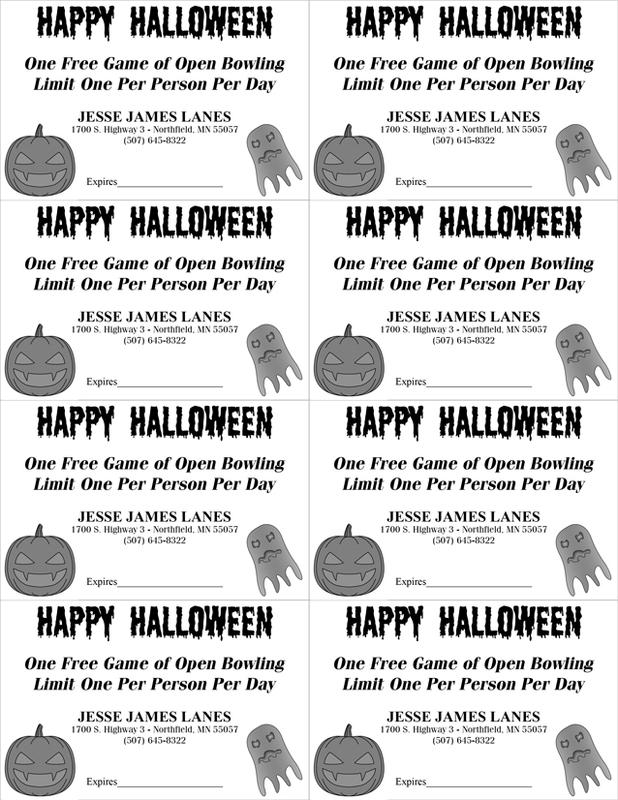 These were made for Halloween to be passed out to Trick-or-Treaters at the Lanes. 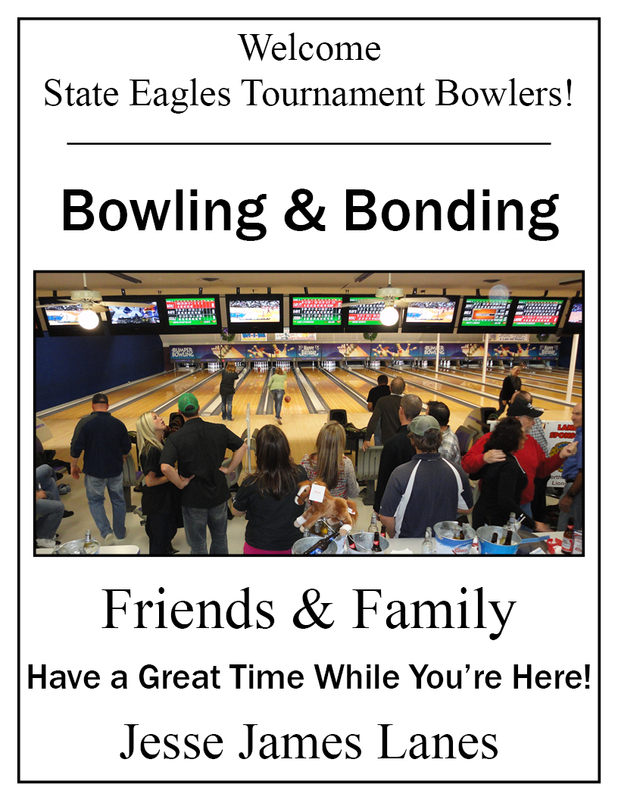 These were made for the upcoming Eagles State Tournament to be placed on the back of the booklets. The Pin Spotter Machines are from the 1970s and were retrofitted for use with computer and camera assisted pin checking. As such, the control box had been changed to reflect this. When I started working there, I was only given verbal instructions on how to operate it. I thought that would cause problems when we hired new staff and having a reference guide on hand was welcomed by our resident mechanic. 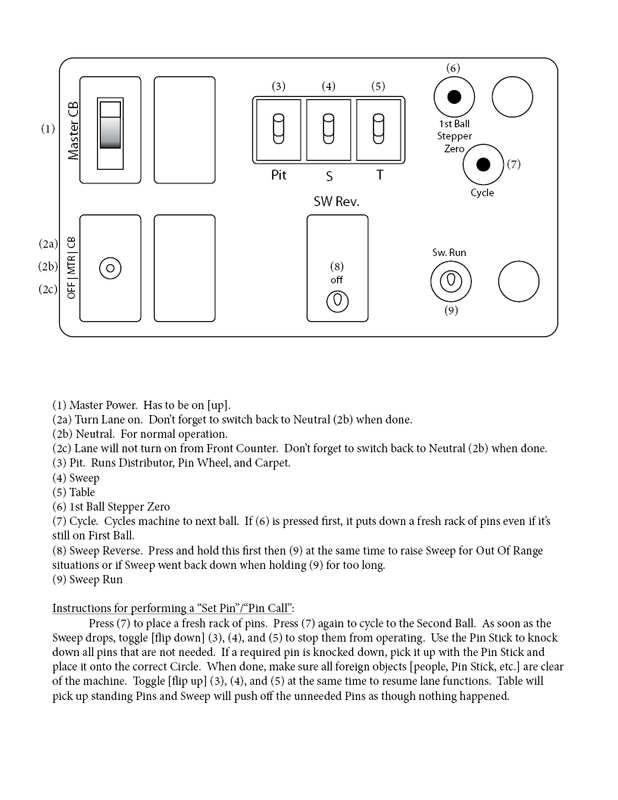 I took a photo of the control box and traced it using Illustrator. 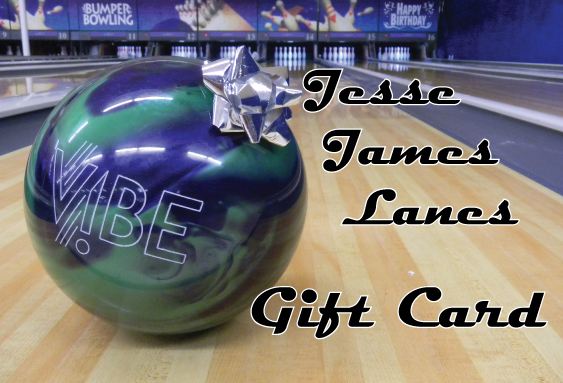 Very shortly, Jesse James Lanes will begin using credit card-like gift cards instead of the old method of issuing a paper "check". 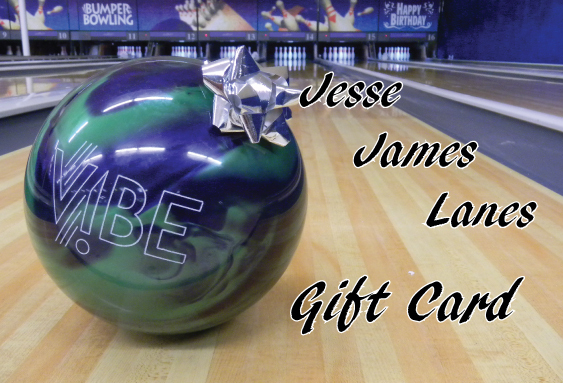 I was asked to come up with the image to be placed on it. This was the first idea that came to me. 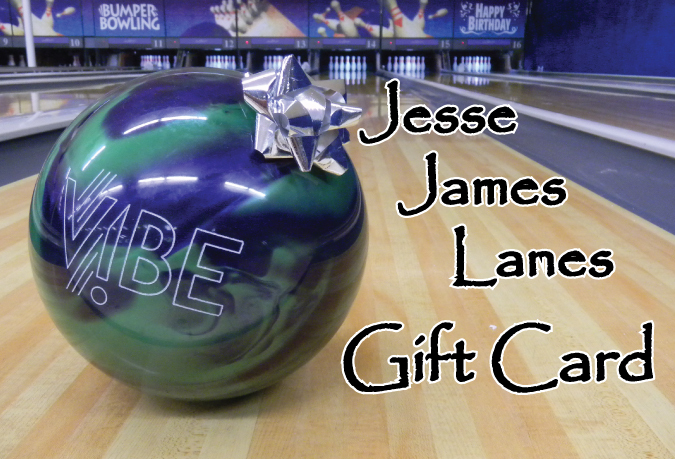 The owner didn't like the first font I used, so he asked me to do two others to see if there were better options. In the end, he had me make the text of the first one more readable. 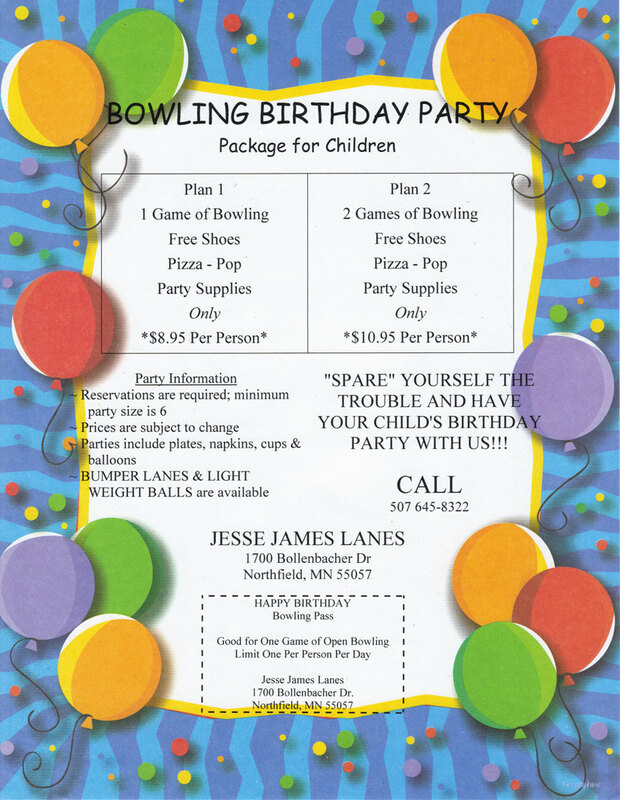 I was asked to modify the existing Birthday Party fliers to make them fit onto stock birthday balloon themed paper using MS Word. 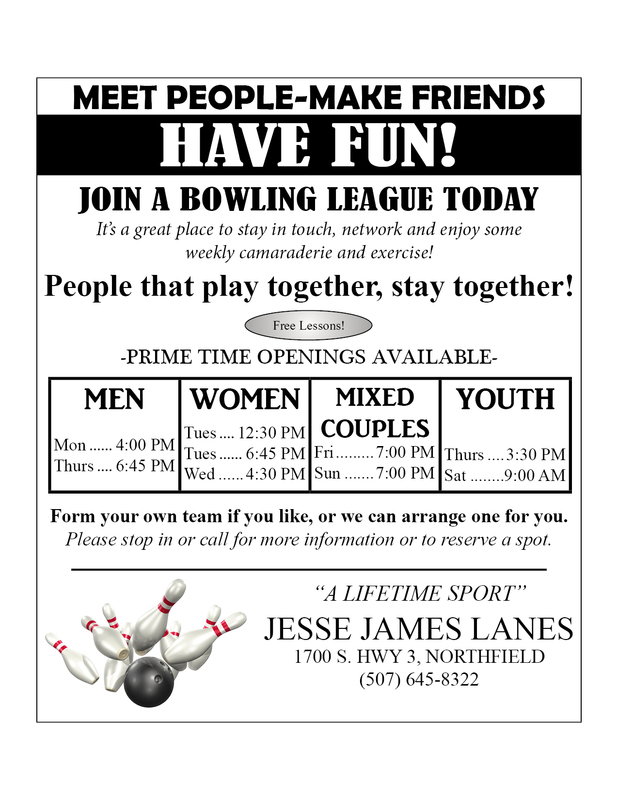 I was tasked with redesigning an old League advertisement to make it more appealing and up-to-date. This page contains the various on-screen advertisements that appear on the overhead TVs. Due to the age of the software that hosts the images, it cannot handle large dimentions.